The draw for the 2016 African Nations Championship (CHAN) finals in Rwanda was made by the Confederation of African Football (Caf) in Kigali on Sunday. The tournament is designed for locally based African footballers playing in their domestic leagues. The initial phase separates the 16 countries into four groups. Hosts Rwanda will be in Group A alongside Gabon, Morocco and Ivory Coast. They will play at the Amahoro Stadium in Kigali. 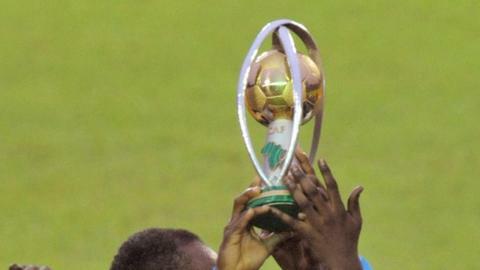 Winners of the first CHAN finals in 2009 - Democratic Republic of Congo - are in Group B with 2011 losing finalists Angola, Cameroon and Ethiopia. The Group B teams will be based in Butare. Group C has 2011 champions, Tunisia, Nigeria, Niger and debutants Guinea, and they will play at the Nyamirambo Stadium, also in Kigali. Gisenyi will host Group D which will feature Zimbabwe, Mali, Uganda and Zambia. The finals will take place from 16 January to 7 February 2016 in Rwanda.